Cookie Brooklyn and the Crumbs are a Wellington 3-piece featuring members of Orchestra of Spheres and MarineVille. Joining the dots between ESG, The Shaggs and The Red Crayola the band is a meld of skitterish post-punk energy, vocal harmony and beatnik raps about musical fandom, Wellington Zoo and who will do the dishes on Sunday. 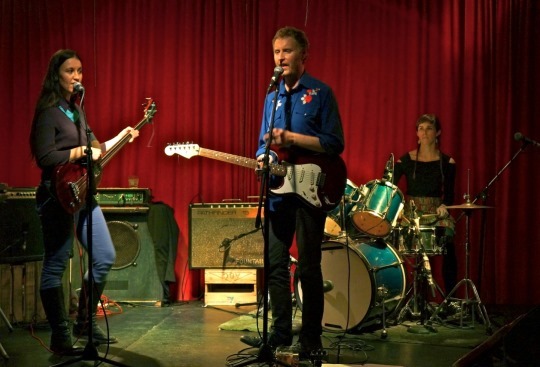 The band recently released a track on “Ae Fond Kiss”, a compilation album released by German label Zelle featuring Dunedin-affiliated musicians setting Robert Burns’ poems to music.